Grimm Book Bindery believes that every customer, large or small, is an individual with separate & distinct binding needs that cannot be anticipated through any “predetermined rules.” At Grimm’s, we strive to be completely adaptable to the individual needs of each customer. With your first order, we provide you with a Customer Profile Sheet to fill out showing all of your preferences and special requests. This sheet is then referred to with each order to insure that the only surprise you’ll get upon receipt of your books is that each was done just as you wanted! For exceptions from the profile sheet, you need only mark it on the binding slip. Our best asset is our employees, with an average of 17 years with Grimm’s, they know quality bookbinding. When you call, our wonderful Customer Service Team will be there, ready to help set up your order. Feel free to call and talk to one of them today! 608-221-4443 x1. LARS (Library Automated Retrieval System) is software used by larger libraries to help prepare your order for binding by automatically printing and saving your binding information. We will provide it at no charge to customers who request it. LARS saves all info for each title, prints binding tickets, keeps the binding history and more. This all means more time for you and more shelf time for your valued volumes. Ask for a no obligation demonstration today! 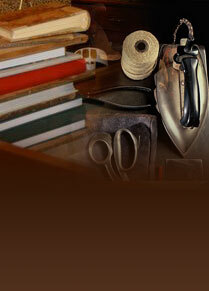 The secret to Grimm’s quality is with its knowledgeable, experienced staff. Your books get personalized attention, not mechanized attention. Each item goes through 3 proofs along with a final expection before going out. Every employee is trained in the quality expected from the preceding station. Variations are corrected immediately so when your order is received, it will be of the quality you expect and deserve. We believe in doing it right the first time!